If you’d like to share a post about what you learned about compassion (The First Step), what you’re seeing in your world (The Second Step), self-compassion (The Third Step), empathy (The Fourth Step), mindfulness (The Fifth Step), action (The Sixth Step), how little we know (The Seventh Step), how to speak to one another (The Eighth Step), concern for everybody (The Ninth Step), knowledge (The Tenth Step), recognition (The Eleventh Step), or loving your enemies (The Twelfth Step) use the link list below. Or join the discussion in the comments or on Facebook. 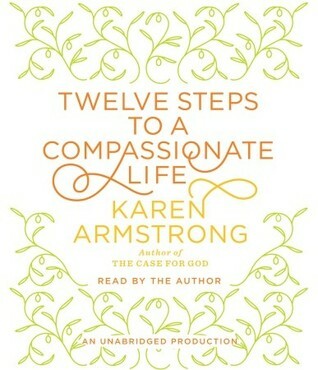 My year-long project to work through Twelve Steps to a Compassionate Life is nearing an end — this post and one more next week. It’s probably time to answer the Big Question: Am I more compassionate? I originally started this book to address my addiction to outrage. Outrage has some benefit for me, mostly as a motivation. But, on its own, it’s not a tactic. And addiction is horrible as a strategy — I used to find myself expending huge amounts of energy to confront outrageous things in far-flung corners of the internet. Of course, it has been hard to stay away from outrage in the last year, but I did better than I would have without working through Twelve Steps to a Compassionate Life. My responses have been more targeted toward solutions and more focused on what I can do. Compassion for myself pulls me away from fretting about things that are out of my control. Compassion for others pulls me toward actions that might make a difference while working with like-minded people. Next week, I’ll recap the tools that worked best to help me develop compassion.